The playoff race in the Western Conference is in a scary place right now. Just last week, the Stars were in 5th all by themselves, and now we’re in a mess with 3 other teams for the 7-10th spots with the losses to Chicago and San Jose over the weekend. 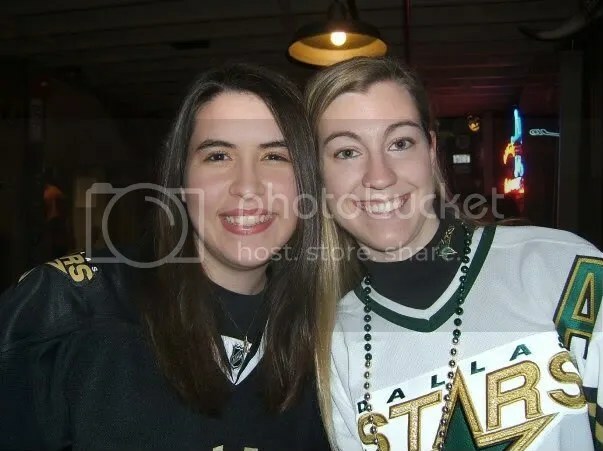 Sarah and I were at the game Saturday against Chicago, and even though we had a great time at the game, the Stars still couldn’t come up with a win. Here’s to hoping to not finish 5th in the conference because a meeting with the Blackhawks would not be pleasurable. Plus, Brenden is NOT ALLOWED to play games against Chicago anymore since both of his big injuries came against the Hawks. I think Fistric is going to get traded at the deadline. I think it’s a weird coincidence that he didn’t get called up until 2 weeks before the deadline. There were definitely occasions before then that we could have used another (big) defenseman. How nice would it be to get Jeff Halpern back? It’d be great to have a checking line center who could win some faceoffs. I don’t see us needing to get a big-name center to replace Richards since he will be back for the playoffs, and even though we have the cap space, there is a lot of money that’s not counting for the cap that Hicks still has to pay. My biggest worry? Smitty going to Detroit. It started out as a rumor in the most recent Hockey News, but it’s a very scary thought. Babcock said last year that if the Wings play their style correctly then their goaltender only needs to be average. How scary would they be with a GREAT goalie? I know Smitty is currently out in Tampa for his post-concussion (read: his head hurts from playing for a team with no intelligent defensemen) syndrome, but I have no doubt that he’d play tomorrow for Detroit if he got traded. Hagman is playing well in Toronto, no surprise there. He got the OT winning goal against the Rangers over the weekend and is on pace to score at least 20 this season. I want to be done complaining about Avery, but how nice would it have been to have resigned Hagman instead of the person (?) who’s sitting in Hartford eating up Tom Hicks’ wallet. Speaking of Avery, I don’t know if he’ll be going to the Rangers with Tortorella taking over as coach. He’s not going to take crap from anyone, especially a tool like Avery. I read that the Sharks were scouting Avery – I’d love to transfer the poison to another Pacific division team. Can Patrick Kane STOP CHEWING ON HIS MOUTHGUARD? He looks like a baby out there with a pacifier. 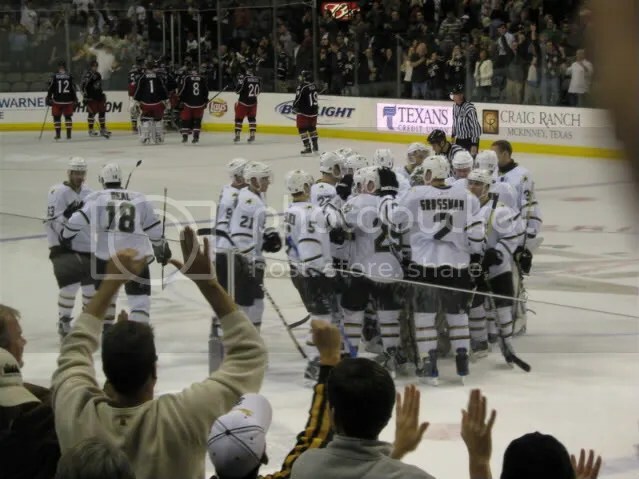 I want Columbus to make the playoffs. I am still a huge Hitchcock fan, and I’d love to see him get in again. And Rick Nash is the most talented player in the NHL with the exception of Ovechkin. Maybe they could do us a favor and knock San Jose or Detroit out of the playoffs? I feel bad for Montreal – has there ever been a more epic collapse for a team with such high hopes? Hope everyone is doing well! 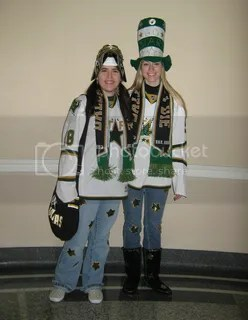 Go Stars!!! Sorry for the complete lack of updates for the past month or so. I always think that I’ll write more when I go home for breaks, but I end up spending virtually no time on the computer so updating doesn’t get done. The truth is, I haven’t been in much of a Stars-blogging mood for the past 6 weeks or so (mostly since Nov 21). It’s frustrating that this team doesn’t play well consistently because they’re not put together well enough to make a team that plays well together. I’m still sad about Brenden getting hurt, and I didn’t think everyone wanted to read blogs about how much I want Brenden to come back, how much I miss him, and how the team doesn’t seem the same without him. But enough about that. I vow to get on here more often and update semi-regularly… hopefully. It’s going to be weird to see the Lightning tonight. I’ll admit – I still miss Smitty a lot too (Jeez, can I just move on already?). I think the team would be so much better off if they had kept both goalies and let them fight for the starting spot this season. If we paired our offense with Smitty’s numbers then I think we could be fighting San Jose/Detroit/Boston for the NHL lead. I think I’ll end this entry with a few pics from Stars over the break. I got really excited every time Rick Nash skated by us. I really think he’s the most talented player in the NHL. It was great to finally see him in person. Plus, he scored, which was okay with me. The other Columbus guys just weren’t allowed to score though. Sarah and me before the Ducks game. I didn’t bring my camera to this one, and I don’t think Sarah got any pictures from the actual game. I have to thank one of the parents at the school my boyfriend teaches at for the amazing seats for the Columbus and Detroit games. I don’t think he reads this, but just in case.. Thank you so much Brent! It’s been one month since the trade. You guys know I was really against messing with the chemistry of this team to get a player who might make things better in the playoffs. When the trade happened, several people told me that I would come to love the trade, that the guys we gave up weren’t really necessary, that everything would be okay, etc. It may not be fair to judge this trade as a failure one month into it, but if Richards had been the offensive machine everyone said he was, the verdict after one month would be that the trade was an excellent idea. Since giving up Smitty, Jeffy, and Jussi we have won 3 games. Since getting Richards we have won 2. The last time we scored a 3rd period goal was March 1st. After Richards’ first game with 5 assists, he only has 4 points. One month later, I am still upset. I still don’t completely understand why Brett and Les thought we needed Richards in the first place. 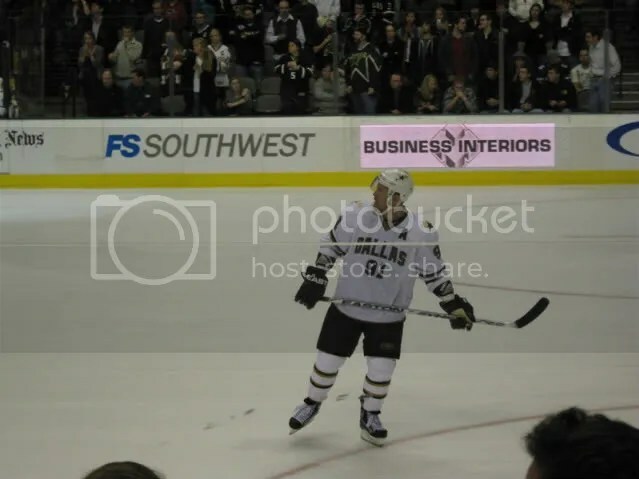 The goal was to get a winger to play with Mike Modano, not get another center who seems incapable of playing wing with Modano. The line of Brenden-Modano-Richards played okay hockey together, but splitting up Morrow and Ribeiro is stupid with the way they’ve been playing all year long. Brett said Richards could “win the first round for us”, but now I’m worried as to whether or not we will actually make the playoffs. And Richards isn’t doing anything to help that effort.